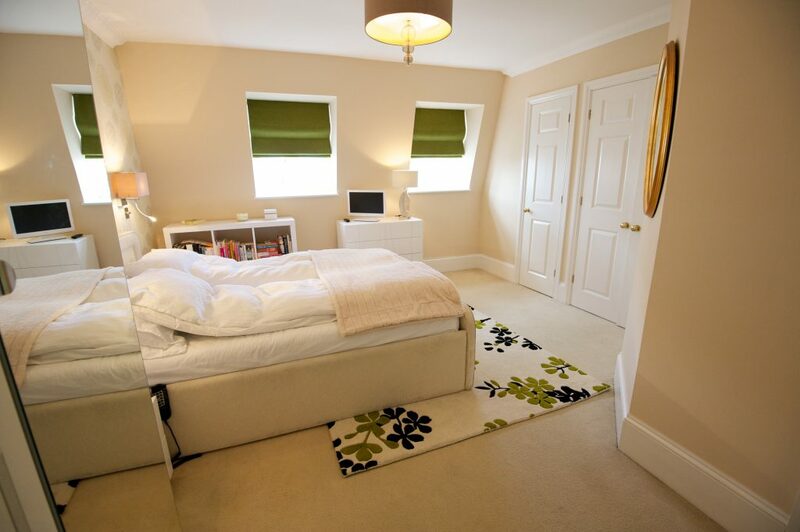 The master bedroom required the addition of extra wardrobe space, new furniture and additional layers of lighting, both decorative and task. 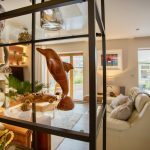 The clients spend considerable time in their bedroom suite and as both are avid readers’ good task lighting was required. 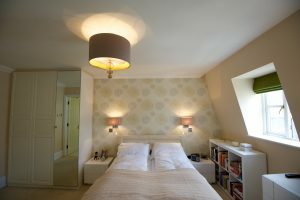 Wall mounted bedside lights on dimmers, gives both ambient lighting as well as flexible arms for task lighting was added, plus decorative ceiling pendants and table lamps. 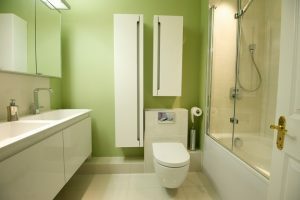 In the en-suite, a new vanity unit with his and hers sinks were added, with a mirrored cabinet above plus considerable extra storage which was a requirement of the design brief. 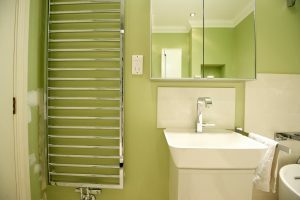 The other consideration in both bathrooms was the positioning of the plumbing and soil pipe, with both bathrooms being internal, any designs had to take this into effect. All the new elements in both bathrooms were wall mounted to increase the sense of space, which due to the nature of the construction meant a lot of planning and strengthening of the walls were required. Both bathrooms were internal with no natural daylight or ventilation, so new energy saving ceiling lights and extractors were fitted. 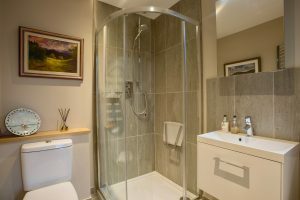 In addition water saving taps and “raindance” shower fittings plus electric under floor heating was installed to give that extra luxurious feel. 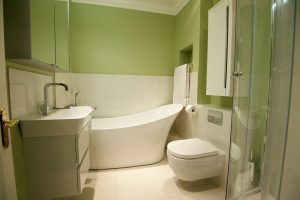 Both bathrooms benefited from ample room for towel storage and warming, another requirement, and in the family/guest bathroom, as a separate shower was incorporated this allowed a new feature bath to be added, creating both a unique bathing experience and that “wow” factor.